and our fantastic customer feedback. If you have a special request that you do not see advertised on our website, please let us know and we will do our best to accommodate your wishes. To discuss your requirements in more detail, or if you would like a quotation please call us on +44 (0)1360 504251. You will see how flexible we can be. 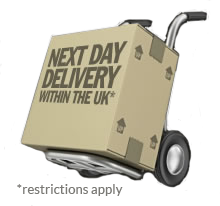 HaggisUK.co.uk was created in 2007 to specialise in delivering Scotland's finest haggis to customers throughout the UK, Europe and selected countries worldwide. We have successfully managed to combine a great selection of traditional, vegetarian and tinned haggis with efficient, personal service. For your convenience and security, our website is integrated with the Royal Bank of Scotland (WorldPay) and we accept and process all debit and credit cards online. We also accept orders and payment by phone and post.